Fate: Sponsored by Samuel Adams. 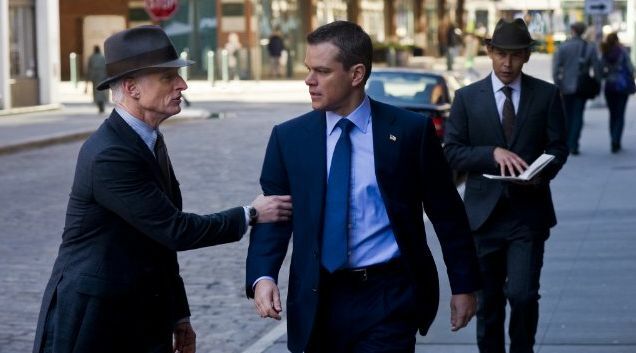 The Adjustment Bureau couldn't go 10 minutes without featuring someone drinking a Sam Adams, walking by a Sam Adams neon sign, or sitting in front of a Sam Adams tap. In other words, it was my kind of movie. Almost makes up for Sam Adams being the serial killer's beer of choice in Unbreakable.